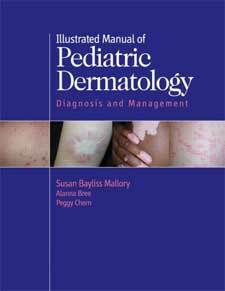 Illustrated Manual of Pediatric Dermatology presents simple, basic approaches to problems that pediatricians and dermatologists see in their practice on a regular basis. With approximately 300 color photographs, it provides a diagnostic guide to a broad range of pediatric and adolescent skin diseases and disorders. The combination of photographs and practical, concise text gives pediatric and family doctors a visual reference and puts the information they need right at their fingertips.